Whether you’ve been a firearms enthusiast for years or are just beginning to learn about guns, focusing on safety is essential. For beginners, a gun may seem intimidating. But, if you educate yourself, you’ll understand how to handle your firearm responsibly and confidently. Here are some guidelines for keeping yourself and others safe. Not all guns are the same, so familiarize yourself with the mechanics of your particular firearm. Read the instruction manual thoroughly to learn the proper way to load, unload, clean, handle, and fire the gun. If you have any doubts or questions, never guess — contact the manufacturer or your local gun shop for clarification. Anytime you handle your gun, make sure the muzzle is pointed in a safe direction in which a bullet cannot hit anyone. You must know which way the firearm is facing at all times, and never point it at anything unless you intend to shoot. When firing the gun, always wear protective glasses and ear plugs or earmuffs. When guns are not in use, they need to be unloaded and put away with the action open. Store your weapon in a secure place where children and unauthorized adults can’t access it, and keep the ammunition in a separate location. 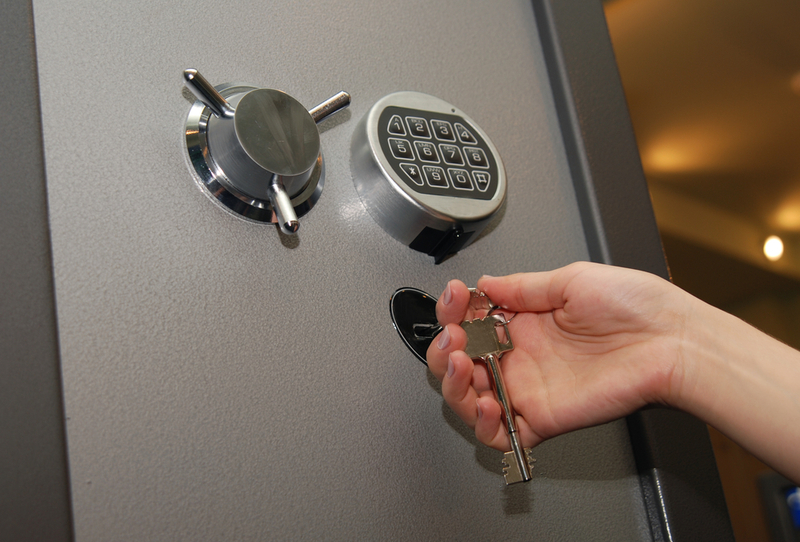 For added security, consider investing in lockable gun cases or safes for your firearms. Like any mechanical device, a gun needs to be serviced periodically to stay in proper working condition. Consult the manufacturer or your local gun shop about inspecting and adjusting your firearm. Clean your gun regularly to remove dirt, debris, and powder residue that could cause corrosion and impair the firearm’s accuracy. Before loading your gun, inspect it to make sure the barrel is free of any obstructions that could increase pressure and cause the firearm to burst. Use a cleaning rod to remove any oil, grease, or debris from the bore. If your gun doesn’t fire when you pull the trigger, point the firearm in a safe direction, and then carefully remove and dispose of the dud round. Glauber’s Sports in Carrollton, KY, carries a large selection of guns, bows, arrows, and accessories. Since 1863, this family-owned business has provided the Tri-State area with reliable firearms for hunting, shooting, and self-defense. Call (502) 732-4005 to speak to their helpful, knowledgeable staff, or visit their website to browse their inventory.